1 So when is the best time to visit Venice? I’ve been so lucky to visit Venice in all four seasons, and for me there’s no doubt. Venice in winter is best. 2 When is winter low season in Venice? 7 What about Venice Weather in Winter? 8 What about acqua alta in Venice? So when is the best time to visit Venice? I’ve been so lucky to visit Venice in all four seasons, and for me there’s no doubt. Venice in winter is best. Yes, sometimes Venice winter weather can be very cold. 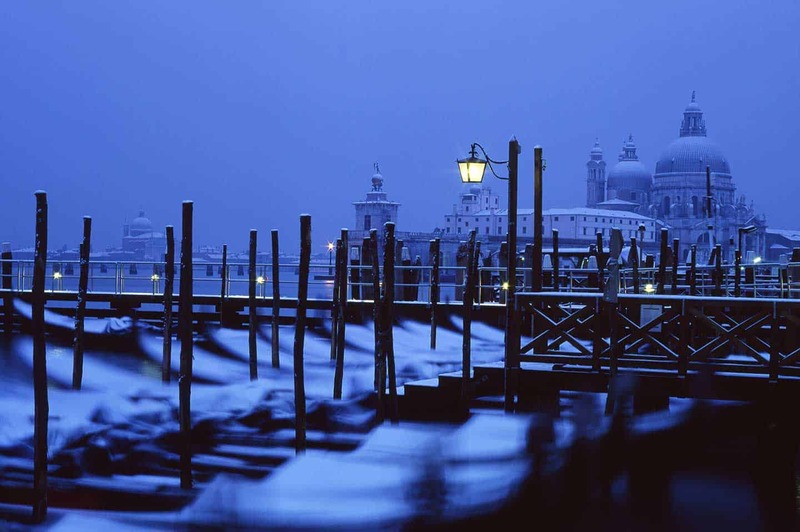 However, winter is the one time of year when Venice still lives up to its nickname, La Serenissima, the most serene. The cruise passengers and day-trippers that make Venice in summer so overcrowded are nowhere to be seen. If you visit Venice in the winter, you get to savour the city. As it’s the low season, you don’t have to queue for anything, a marked contrast with what you get in July and August. You also get a very pleasant surprise when you search for your accommodation in Venice, with prices a fraction of those in peak season. So read on to discover why you should consider Venice in winter. 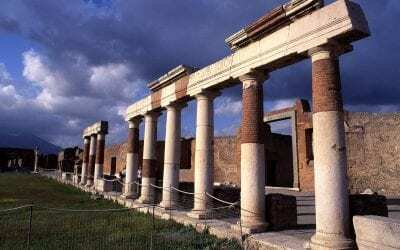 When is winter low season in Venice? Winter in Venice is the same as across Europe, with the coldest weather usually (but not always) between December and February. Venice low season is usually shorter than the winter season. This is because of Venice Carnival, or Carnevale. This is one of the popular Venice events, when people take to the streets in masquerade masks. Carnevale is also high season in Venice, when prices rise to their peak, up to five times what they would be in January. Venice Carnevale is a movable feast, a festival whose dates change each year. It lasts between two and three weeks, ending on Shrove Tuesday, the day before Ash Wednesday and the beginning of the Christian Lent season. 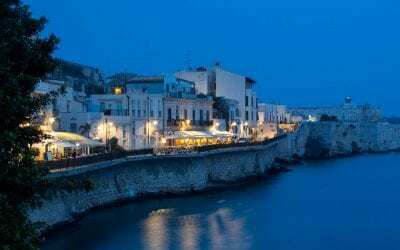 For the purpose of this article, I class Carnevale as separate from winter, as the crowds return as well as the high prices. Venice city breaks and holidays can be more enjoyable than in summer because of the relative lack of crowds. Over the last few years it has been sad to see images of Venice deluged with visitors. The problem has worsened over the last few years, and mass tourism in Venice ends up detracting from the whole experience. You can’t enjoy the city with massive crowds and queues everywhere. I’ve visited the city many times, including five trips during winter. It is so different at this time of year. It’s not empty, by any means. You’ll still see some areas, such as San Marco and Rialto, busy at times. But it’s so much easier to escape the crowds in Venice during winter. You just need to walk a couple of streets, and you have the place to yourself. Winter was when I first saw the magic of Venice, and having the time and space helps you to really appreciate it. The good news is that most things to see in Venice are open all year round. The one exception to this is St Mark’s Campanile, which closes for two weeks every January for maintenance and repairs. 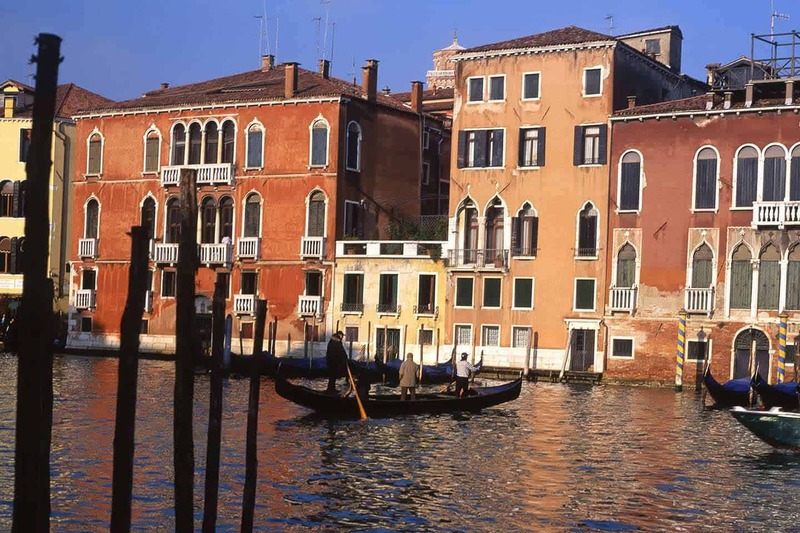 Otherwise, virtually all the Venice main attractions are open year-round. 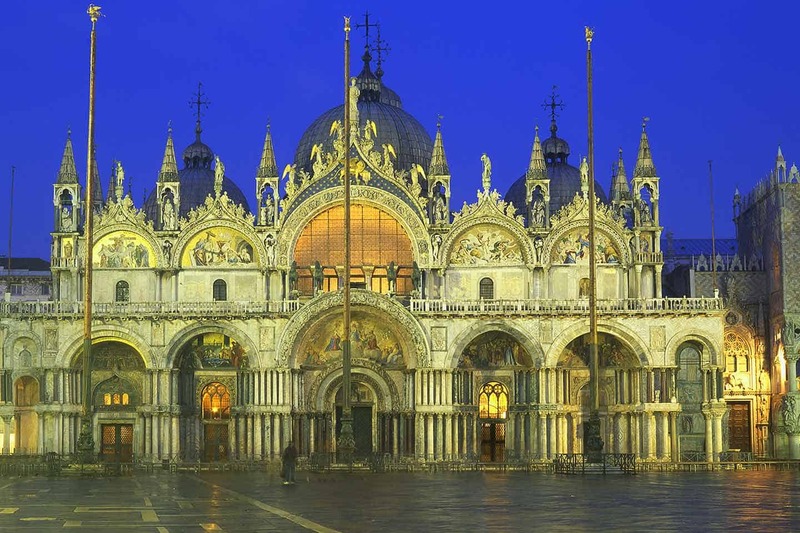 This includes all the major art galleries and churches, and famous Venice sights such as the Doge’s Palace. They are all so much more enjoyable when you can take your time. You can get some staggering cheap Venice deals between Christmas and Carnevale (usually January and the first half of February). You can get some exceptional bargains if you’re spending a weekend in Venice or perhaps a few days. Venice prices for accommodation fluctuate dramatically through the year, and winter is when they hit rock bottom. If you’ve thought that Venice holidays are prohibitively expensive, the good news is they’re not in winter. In terms of hotel prices, it’s far and away the best time to go to Venice. A few years ago, I stayed in a 4-star hotel near Piazza San Marco for a bargain €70 a night during the winter low season. I checked room prices for Carnevale a month later – they were an eye-watering €360 a night. During winter many 5 star Venice hotels drop their rates by 70-80%. So if you’re visiting Venice on a budget you can contemplate staying in the central San Marco district. 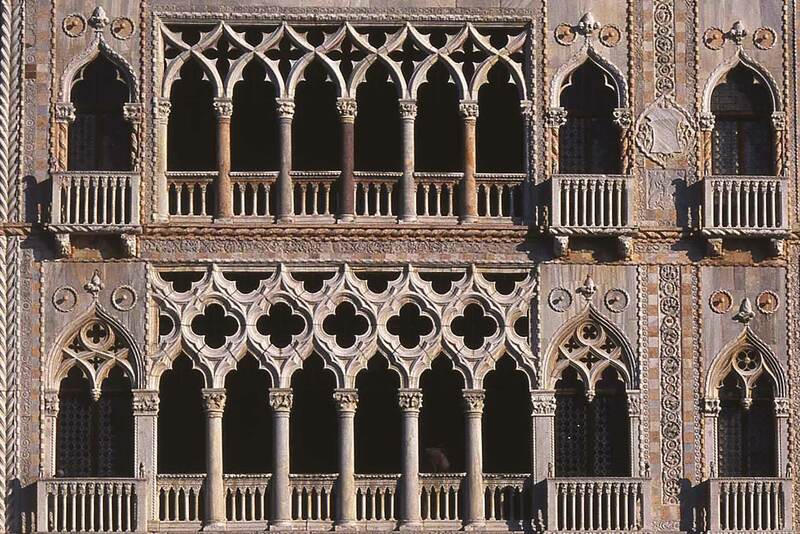 This is where you’ll find many Venice highlights, including St Mark’s Square, the Doge’s Palace and the Bridge of Sighs. Instead of paying €500-600 a night, you can get rooms for €100-150. San Marco is one of the best areas to stay in Venice because you’re so close to everything. Venice remains one of the most expensive cities in the world to visit. Although hotel prices fall, other prices (transport, restaurants) remain unchanged through the winter. Winter is such a magical time for photography in Venice. The days are short but the light is low throughout the day. So there’s always a depth and glow to the colours, rather than the harsh light you get in the warmer seasons. It’s also a time for stunning sunrises and sunsets. 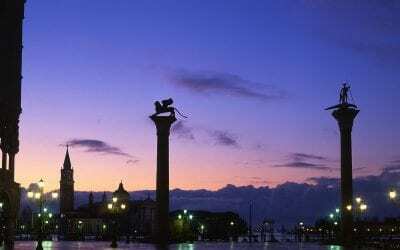 If you stand on the Molo – the waterfront next to St Mark’s Square – the sun rises just to the left of San Giorgio Maggiore church. 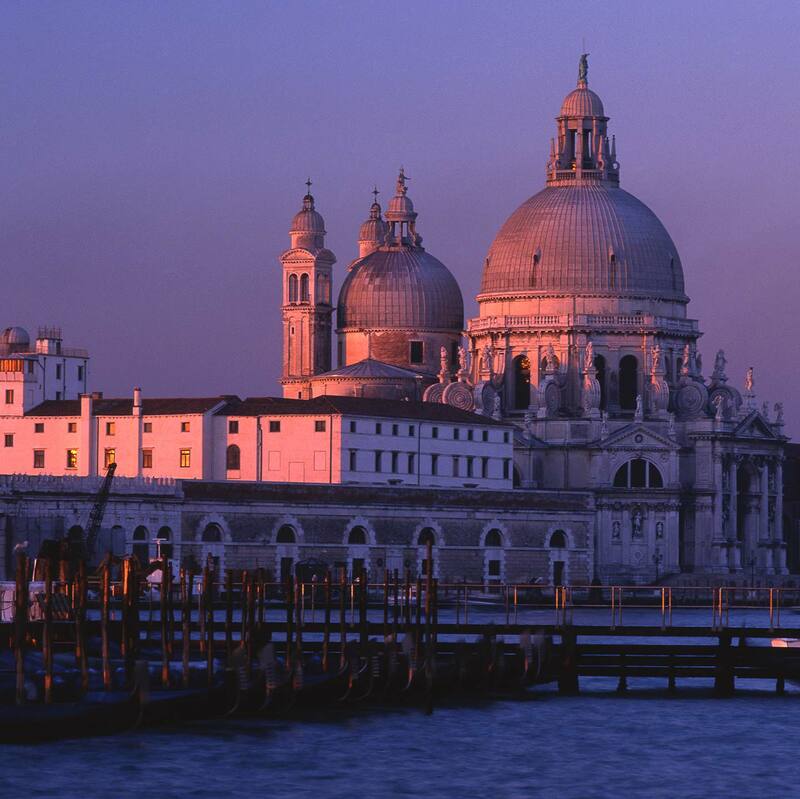 Later in the day, it sets behind the famous domed silhouette of Santa Maria della Salute. Another amazing place to watch Venice sunsets in winter is Rialto Bridge. You can stand on the bridge to watch, or visit the rooftop terrace at T Fondaco dei Tedeschi, just behind the bridge. The only drawback with the latter is that you have to book your time slot and you’re restricted to 15 minutes there. Winter is also the time to get moody morning mists on the canals. Sometimes fog can linger for a day or more, but it makes the Venice canals wonderfully atmospheric. Venice is the most photogenic city I’ve ever visited, and almost every street and canal has a potentially stunning shot. 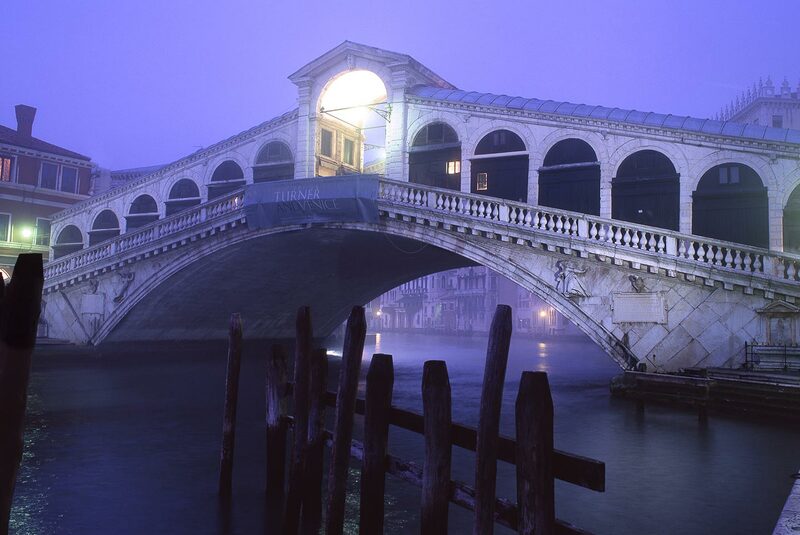 The days may be short, but the bonus is that you get to enjoy long winter evenings in Venice. It’s usually dark by 5.30 pm, and when I’ve visited I’ve gone on some long night walks in Venice. These walks are some of the most memorable things to do in Venice. It’s often cold, and if you wander anywhere off the main thoroughfares you’ll have the place to yourself. For me, this is when Venice at its most enchanting. I would pick an area on the map, walk to it and then wander. Getting lost in Venice is one of the best things to do in Venice, and when you have it to yourself, it’s even better. What about Venice Weather in Winter? European winters can be a mixed bag. You can get clear, cold sunny days. You can get mist or fog. It can rain. And, as our lead shot for this feature shows, you can even get snow in Venice, though this is rather rare. Venice can be cold, but if you’ve spent time in Europe in winter, it won’t be too uncomfortable. A set of thermals and a couple of layers of clothing, plus a hat and scarf, will keep you warm. The only time I’ve really felt cold in Venice was during a boat ride to Burano. This is what happens when you sit outside on open water in a bitter northerly wind. If you take a day trip on the lagoon in winter, wrap up. What about acqua alta in Venice? Acqua alta literally means ‘high water’. Venice is very slowly sinking, and sea levels are rising due to global warming. This makes the city increasingly susceptible to high tides, and the recent Venice flooding was one of the worst in its history. The Venice high tide phenomenon occurs between October and April each year. If the tide water level exceeds 110 centimetres, sirens sound around the city and wooden walkways are put up in the most flood-prone areas, including St Mark’s Square. If you want to avoid Venice acqua alta, your best bet is to study long range tidal forecasts. These give predictions for tidal levels, but you can’t rely on the 100% as they can’t take into account rainfall or wind direction or speed. One free option is to look at the XTide site, and type in ‘Venezia’ in the location box. Alternatively, you can open an account on the UK Hydrographic Office site. An enhanced prediction for seven days costs £1. I’ve used it to check on locations all over Europe and always found this service to be highly accurate.